Tsurugaoka Hachimangu is a Shinto shrine that protects Kamakura Shogunate and also considered as the most important facility. It attracted fervent worship from the Kamakura Shogunate and the samurai. It was an important place also for political and ritual activities, where the official events of the shogunate were held. 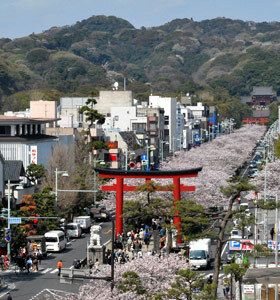 Viewing from the sea, Tsurugaoka Hachimangu Shrine is built on the mountain foot at the front centre. Therefore, it was precisely at the centre of seat of the samurai government and symbolizes Kamakura which was constructed by actively working on its defensive landform. Tsurugaoka Hachimangu Shrine originates from the ceremonially transference of a divided tutelary deity of Iwashimizu Hachimangu Shrine in Kyoto to Yui Tsurugaoka in the seaside area of Kamakura in 1063 by Minamoto no Yoriyoshi, the ancestor of Minamoto no Yoritomo. When Minamoto no Yoritomo settled in Kamakura in 1180, he then transferred it to the present-day location and constructed it as Tsurugaoka Hachimangu Shrine. 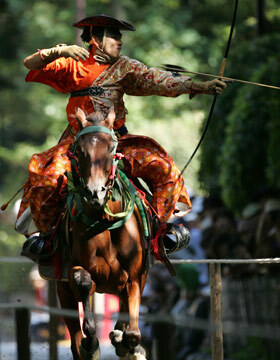 Genpei pond locates at the east-west through the third torii gate and Sessha Wakamiya locates at the back of the riding ground (mounted archery) which runs east-west. The main hall and Jogu locates at the top of the great stone steps. 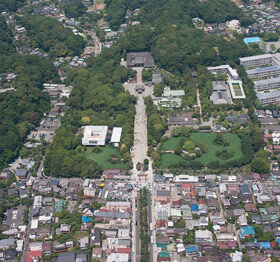 The present compound layout has been followed as a fundamental shape of Tsurugaoka Hachimangu Shrine since the restoration by the Kamakura Shogunate after the conflagration in 1191. The arrangement of the main shrine buildings etc. of the present-day roughly agrees with those depicted in Zoei Mokuromi Ezu (construction plan) and Tsurugaoka Hachimangu Keidai Ezu (Tsurugaoka Hachimangu Shrine Compound Pictorial Drawing) painted in 1591 and 1732 respectively. Even after the fall of the Kamakura Shogunate, the shrine was protected as a symbol of the birthplace of the samurai government by the successive samurai governments that followed. As the Tokugawa clan of the Edo Shogunate which became the last samurai government took the position that they came from the Minamoto clan thoroughly protected Kamakura as a sacred place. In 1624, the reformation of Jogu (Upper Shrine) and Sessha Wakamiya that changed the scale and style was conducted by the second shogun of the Edo Shogunate, Tokugawa Hidetada (1579 - 1632). Protection by the Edo Shogunate continued throughout the Edo Period including rebuilding when it was destroyed by fire and periodical repair work. Moreover, the Hojo-e life-saving festival and accompanying a ceremonial performance of　Yabusame mounted archery are still conducted every year in the shrine precincts as an event that hands over the tradition of samurai culture. Jogu and Sessha Wakamiya are included in the compound as monuments. Wakamiya Oji Avenue was constructed in 1182 in prayer for the easy delivery of a child by Hojo Masako, the wife of Minamoto no Yoritomo. The approach (approximately 1.5 km) extends from the compound of Tsurugaoka Hachimangu Shrine toward the seacoast and it was regarded as a powerful fundamental axis of the seat of the samurai government. Dankazura (central area of the road which is raised one step higher by stonework) is included in the nominated property. 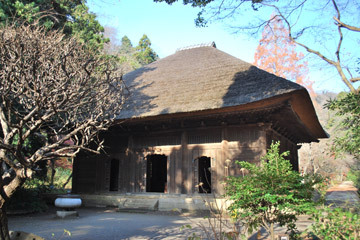 Honden (Main Hall) is located behind this. Egara Tenjinsha Shrine was regarded as a tutelary god (Shinto shrine that guarantees the justification of the samurai government) and the most important temple, same as Tsurugaoka Hachimangu. The compound of this shrine which was created by almost vertically cutting down the foot of a mountain area in the background shows the characteristics of developing the compounds of Shinto shrines and Buddhist temples in Kamakura. Egara Tenjin sha Shrine is said to have been built in 1104. It was built by Minamoto no Yoritomo to enshrine as a god to guard against kimon (literally, ogres' gate), the inauspicious direction (north-east), of the shogunate. Egara Tenjinsha Shrine received the cordial auspice of the Edo Shogunate. Jointly with the repair work and restoration of Tsurugaoka Hachimangu Shrine conducted every 30 to 40 years and using the surviving materials and old members from the work, the repair work of Egara Tenjinsha Shrine has been carried out. The existing main hall (Important Cultural Property) used to be the Wakamiya of Tsurugaoka Hachimangu Shrine before it was relocated to the existing location when the Edo Shogunate constructed the shrine buildings of the Wakamiya Tsurugaoka Hachimangu Shrine in 1622. This main hall is probably dates back to the 14th century. 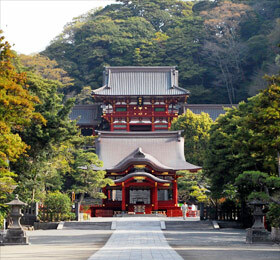 Jufukuji Temple is located approximately 0.5 km west from Tsurugaoka Hachimangu Shrine. It is the first Zen Buddhist temple in Kamakura and was constructed on the site of the residence of Minamoto no Yoshitomo, Yoritomo's father. The location of Jufukuji Temple is at an important point of traffic where two "kiridoshi" Passes, Kamegayatsuzaka Pass and Kewaizaka Pass, run on its north. This shows the intention of the Kamakura Shogunate to allocate important Buddhist temples near “kiridoshi” passes. In addition, "kirigishi" cut-cliffs developed by cutting off the skirts of the mountain areas maintain the conditions well. They show the characteristics of Shinto shrine and Buddhist temple landscapes of Kamakura well, where those buildings are located inside extensively developed valleys. Jufukuji Temple begins with its construction by Hojo Masako, Yoritomo's wife, having Eisai, the Buddhist priest, as a founder in 1200. This is where the tea ceremony was introduced to Japan by Eisai, the Buddhist priest and the founder of the temple who wrote the Kissayojoki (Book on Tea as Medicine). At the beginning, Jufukuji Temple was a Buddhist temple which had strong elements of esoteric Buddhism and it became a pure Zen Buddhist temple in the mid-13th century. From the end of the Kamakura Period to the Period of the Northern and Southern Courts, it flourished as a Buddhist temple embracing 15 temple buildings. 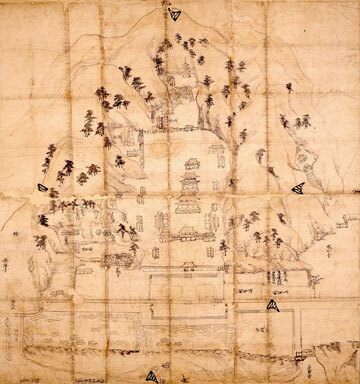 Thereafter, it declined by the fires in 1395 and 1467 and only four temple buildings remained in the Jufukuji Keidai Ezu (Jufukuji Temple Compound Pictorial Drawing) of 1790. It underwent recovery from the damage caused by the Tokyo Earthquake of 1923 and remained to today. Within the compound, there are enshrined stone pagodas said to belong to Hojo Masako and Minamoto no Sanetomo and numbers of "yagura" caves. The compound is not open to the public. Kenchoji Temple, located approximately 0.7 km north from Tsurugaoka Hachimangu Shrine, is the most important Zen Buddhist temple that created the opportunity for Zen Buddhism to be established in Japan. It was a central feature of the religious policy of the Kamakura Shogunate based on the two foci of Shintoism and Zen Buddhism and at the same time contributed greatly to the establishment and development of the samurai culture, functioning as the biggest centre to receive Chinese culture at that time. 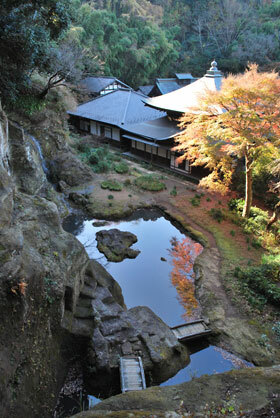 In addition, the linear-shaped temple complex that was built in the space developed from the narrow valley is an outstanding example of a type of early Japanese large-scale Zen Buddhist temple complex and at the same time produces unique shrine/temple landscape characterized by tranquil religious space in unity with the background mountain area. Furthermore, Kamegayatsuzaka Pass, the main entrance of Kamakura locates in Yamanouchi (where Kenchoji Temple is located at), and Yamanouchi was one of the most important points for traffic and defense in Kamakura. "Kenchoji Keidai Ezu" (Kenchoji Temple Compound Pictorial Drawing). "Kenchoji Garan Sashizu" (Kenchoji Temple Complex Pictorial Drawing). Kenchoji Temple was built by Hojo Tokiyori, the fifth regent (Shikken)of the Kamakura Shogunate, as the first ashram that was dedicated to Zen Buddhism in Japan in 1253, receiving a Chinese high priest, Rankei Doryu, as a founder of the temple. Kenchoji Temple during the period from the Kamakura Period to the Muromachi Period showed a great dignity as a large Zen Buddhist temple with a magnificent temple complex which followed the style of the Chinese Five Buddhist Temples of Southern Song Dynasty China. This is supported by the Kenchoji Garan Sashizu (Kenchoji Temple Complex Pictorial Drawing) created in 1331 and the result from excavation findings. Kenchoji Temple has repeatedly suffered damage such as losses or collapse of the temple complex caused by the fire or storm repetitively. However, the Kamakura Shogunate or the following samurai government(s) worked on its restoration each time. The Edo Shogunate in particular protected the temple with great care. The Edo Shogunate contributed the Kenchoji Keidai Ezu (Kenchoji Temple Compound Pictorial Drawing) in 1678, and the Shogunate supported repair work on multiple occasions. The existing main buildings are from the repair work conducted mainly by the Edo Shogunate. The existing temple compound has a magnificent Sammon (Enlightenment Gate) approximately 100 m from the Somon (main gate) near the valley opening. From that point along the central axis of the valley, Buddha hall, front garden, Butsuden (Buddha Hall), Hatto (Dharma Hall), Hojo (abbot's residence), Hojo garden etc. are placed in a straight line. Temple buildings are built on both sides of the main buildings to the east and west and furthermore in the area where the valley penetrates towards the north-east. In particular, in the small valley that penetrates towards the south-east from Buddha hall front garden, Shodo and the Pagoda of Daikakuzenji are set up in Seiraian, devoted to the founder. Within this area, strict training of Zen Buddhist priests has continued to be carried out to the present day. In addition, Kenchoji Temple contains garden and Sanmon, Buddha Hall, Hatto, Shodo, the Pagoda of Daikakuzenji, Shudaruki Yagura caves etc as monuments. Shodo and The Pagoda of Daikakuzenji are not open to the public. 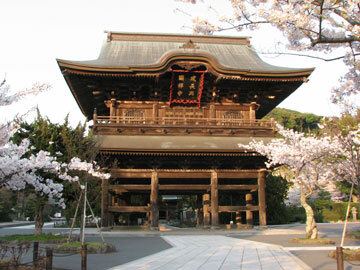 Engakuji Temple is located approximately 1.7 km north-west from Tsurugaoka Hachimangu Shrine. Side by side with the Kenchoji Temple, Engakuji Temple is one of the most important Zen Buddhist temples that created the opportunity for Zen Buddhism to be established in Japan. Additionally, it was one of the centres of religious policy of the Kamakura Shogunate based on the two foci of Shintoism and Buddhism. The temple contributed greatly to the establishment and development of the samurai culture as the greatest stronghold to receive Chinese culture at that time. In addition, also in Engakuji Temple, a narrow valley was developed into tier shape and main buildings are arranged in a straight-line. In unity with the background mountain, they form a tranquil religious space and represent the shrine/temple landscape of Kamakura. Furthermore, Engakuji Temple was placed at one of the most important spots for the traffic and defense of Kamakura clearly shows a way of creation of defensive seat of government of the Kamakura Shogunate . (Engakuji Temple Compound Pictorial Drawing). Engakuji Temple was built by the eighth regent Hojo Tokimune, in 1282, having Mugaku Sogen, a Chinese priest, as a founder, to mourn for the victims of spiritual protection of the state and during the invasion by Mongolia without distinguishing friends and enemies. Under the patronage of the Kamakura Shogunate, improvement work of the compound of Engakuji Temple was carried out. Even after the fall of the Kamakura Shogunate, it received patronage from those in power in those days, including Muromachi Shogunate. It reached its prime time in the early 14th century having a magnificent temple complex. Based on the Engakuji Keidai Ezu (Engakuji Temple Compound Pictorial Drawing) that was drawn (circa 1333～1335) to depict the situation at that time. It is clear that like Kenchoji Temple the main buildings were lined up on the central axis and the temple was constructed following the style of Chinese Zen Buddhist temples. During the Edo Period, the restoration of the temple complex was carried out under the patronage of the Edo Shogunate and the present-day appearance of the temple was created in the late 18th century. Since the Modern Period, missionary activities for laymen were vigorously carried out having Engakuji Temple at a centre. From the end of 19th century to the 20th century, the temple contributed greatly to the dissemination of Zen to the world including its propagation to the West by Daisetz T. Suzuki. 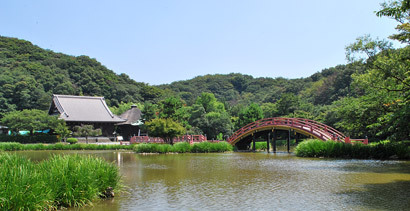 In the present-day compound, Byakurochi Pond is to the side of the entrance of the valley that penetrates approximately 500 m north-east and Somon (main gate) is situated at a place one step higher. The valley is developed into tier shape for approximately 350 m from Somon (main gate) and within the compound, temple buildings and Myokochi Pond are arranged on a straight line. In addition, Shariden (Relic Hall) is situated approximately 350 m north-east from Somon (main gate) on a space where the skirt of mountain area on the east-west side and north side was cut down. Within this area, strict training of Zen Buddhist priests has continued to be carried out to the present day. 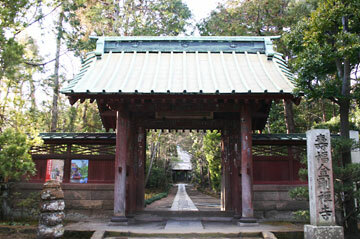 Engakuji Temple contains a garden and a monument, Shariden (Relic Hall). Zuisenji Temple, located approximately 1.8 km north-east from Tsurugaoka Hachimangu Shrine, is also a Zen Buddhist temple built in a space developed from a narrow valley and has an excellent garden that is considered to show the complete form of the early Zen Buddhist garden within its compound. Zuisenji Temple was founded in 1327 by a Japanese Zen priest, Muso Soseki. Muso, who was active from the late Kamakura Period to the Period of the Northern and Southern Courts, was revered by both the shogunate and the Imperial Court. He contributed to the official acknowledgement of Zen Buddhism by the national authority and also left numbers of gardens which are regarded as masterpieces in Kyoto. After the fall of the Kamakura Shogunate, Zuisenji Temple thrived as a family temple of the Kamakura Kubo strongpoint of the Muromachi Shogunate to rule the Kanto region. It reached its golden age in the late 14th century, having a large Zen Buddhist temple appearance with more than 10 temple buildings. However, it suffered from war-caused fire by the Eikyo Disturbance in 1438 and the power of the temple gradually became weaker. 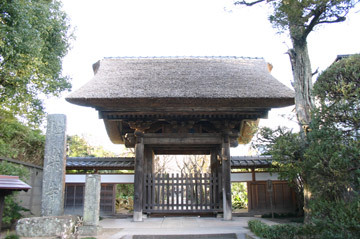 Since the Edo Period, the power of the temple has been retained by belonging to the Engakuji school up to the present. The foundation platform of the Great Buddha Hall. Daibutsu is constructed by the Kamakura Shogunate taking the lead as a part of the policy based on the idea of spiritual protection of the state, wishing for peace of the Kamakura Shogunate and the people. It is a bronze seated statue of the Buddha Amida with a height of approximately 11.5 m. The robust and powerful beauty of art expressed in Daibutsu (Great Buddha) of Kamakura shows the powerfulness of the samurai and the samurai culture. In the fabrication of the Great Buddha of Kamakura, the design showing the influence of Song Dynasty China but with modification in a Japanese style can be recognized. In addition, the excellent casting techniques were used and passing down the superiority of casting techniques and the beauty of craft arts of the Middle Ages of Japan to the present. 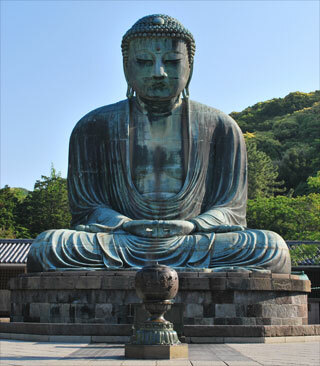 According to the historical documents such as the Azumakagami the casting of the Daibutsu (Great Buddha) began in 1252 with the participation of the shogunate and contributions solicited from a wide range of people and was completed no later than in 1264. Construction of the Great Buddha Hall was completed in 1268 and became a Buddhist temple called Daibutsuden (Great Buddha Hall). After the collapse of the Great Buddha Hall in 1305, the hall experienced restoration and collapse repeatedly due to the damage caused by earthquake and tsunami. Since its collapse in 1369, the Great Buddha Hall has never been rebuilt and it has been placed in the open air. The pedestal was destroyed and the statue was inclined in the big earthquake in 1703 and it was restored in 1704. After that, the Daibutsu survived repeated disasters and remained its figure over approximately 700years. The present temple was restored by the high priest, Yuten, of the Shiba Zojoji Temple as the Kotokuin Temple with a financial assistance from a powerful merchant of Edo (present-day Tokyo) in 1712. In 1923 the pedestal was destroyed at the "great earthquake of Kanto area" and the earthquake in the following year. However, it was restored from 1924 to 1925. From 1959 to 1961, repair work mainly aiming at reinforcing the neck and earthquake proof measures were taken. 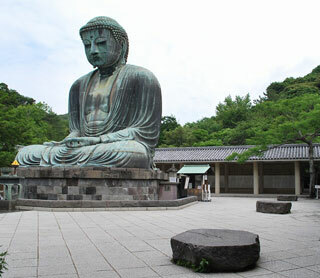 In 1958, Daibutsu was designated as national treasure. 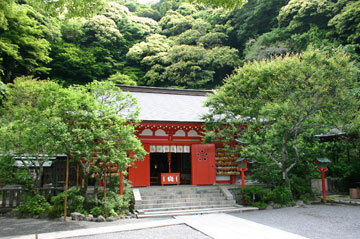 Kakuonji Temple, located approximately 1.2 km east from Tsurugaoka Hachimangu Shrine, is a typical example of the shrine/temple landscape of Kamakura, in which the space for the temple compounds were secured through the development of the narrow valley terrain and tranquil religious space was created there in unity with the mountain area. The survival of the development of the valley by cutting down the skirt of the mountain area is good in the entire area of the compound and the mountain continues from the back of the compound to the top of the mountain ridge in the background (altitude: over 100 m). Among the Buddhist temples in Kamakura, Kakuonji Temple best retains the characteristics of the subtle, profound, and tranquil religious space. 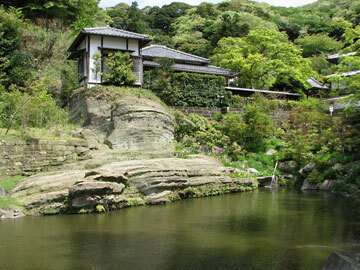 Within the background mountain area, there are Hyakuhachi Yagura Caves. Moreover, it is a Buddhist temple that played a central role in the study of Buddhist teachings; this Buddhist temple provided the stage where the samurai cultivated their spiritual capacity and acquired academic and cultural knowledge and also where important cultural aspects were nurtured. Kakuonji Temple originates from the Yakushido Buddha Hall built in 1218 by the second regent, Hojo Yoshitoki , which was converted in 1296 into a Buddhist temple by the 9th regent, Hojo Sadatoki , in prayer for of the victory over Yuan Dynasty China. It thrived as a Buddhist temple where the teachings of different sects were studied. At the time of its construction, it presented a large-scale and majestic temple appearance prepared by numbers of buildings. The present temple compound is at the innermost part of the valley and is approximately 380 m in depth and approximately 50 m in width at the maximum. 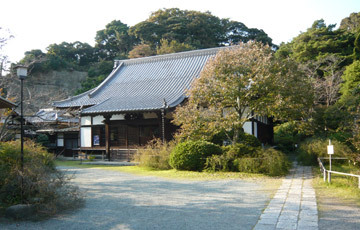 Within the compound, the Yakushido Buddha hall and other various buildings are constructed. At the innermost part of the compound, there are the founder’s pagoda, Daito pagoda (constructed in 1332; Important Cultural Property), etc. and they form a sacred area of the temple. Closed at the rainy weather, during August, Dec.20～Jan.7. The founder’s pagoda, the Daito pagoda and Hyakuhachi "Yagura" Caves are closed to the public. "Jokomyoji Shikichi Ezu"(Pictorial Drawing of the Precincts of Jokomyoji Temple). Jokomyoji Temple, located approximately 0.5 km north-west of Tsurugaoka Hachimangu Shrine, approximately 0.5 km east of Kewaizaka Pass, and approximately 0.3 km south-south-east of Kamegayatsuzaka Pass, is a Buddhist temple that was built at one of the most important places for transportation and defense purposes in the north-western part of Kamakura, which marks the entry point for people coming from outside Kamakura immediately after the Kewaizaka Pass and the Kamegayatsuzaka Pass. It evidently shows how the Kamakura Shogunate deliberately placed important Buddhist temples close to "kiridoshi" passes. 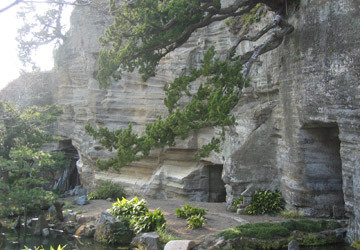 Its "kirigishi" cut-cliff that was created, cutting down the skirt of the mountain area, remains in good condition and it shows very well the characteristics of temple/shrine-associated landscapes of Kamakura in which temple/shrine buildings are built within the space developed from a valley. In addition, it was one of the Buddhist temples where teachings of different Buddhist sects were studied and played a central role in the study of Buddhist teachings. Also it is a place where important cultural aspects were nurtured. Jokomyoji Temple was built in 1251 by order of the fifth regent, Hojo Tokiyori, and the sixth regent,Nagatoki. In the Jokomyoji Shikichi Ezu (Pictorial Drawing of the Precincts of Jokomyoji Temple), which was drawn around 1333-1335 immediately after the fall of the Kamakura Shogunate, temple buildings are depicted in the developed narrow valley and on its outside, remains of residences related to the Hojo clan including the 16th regent, Hojo Moritoki, are depicted. From this, the situation of Buddhist temple construction inside or in the close vicinity of the residential area of the Hojo clan can be understood well. Jokomyoji Temple has kept its power through the patronage of those in power during the Kamakura Period and also afterwards, and has passed down its Buddhist tradition up to the present, experiencing the damage from fire and earthquakes repeatedly. The temple was deeply related especially with Ashikaga clan and it was revered by Takauji and Tadayoshi Ashikaga. Furthermore, the temple received protection from the Kamakura Kubo (governor) in Muromachi Period and enshrined Ashikaga Motouji and Ujimitsu’s ashes. Jokomyoji temple became Ashikaga clan’s family temple. On the mountain area behind the compound, north-facing three-staged flatlands were developed and an Amida hall, tombs of successive chief priests etc., and numbers of "yagura" caves were constructed There is a tomb of Reizei Tamesuke near the top stage at an altitude of approximately 40 m.
Gokurakuji Temple, located approximately 2.9 km south-west of Tsurugaoka Hachimangu Shrine, is placed at an important point of transportation or defense along the route from Kamakura to Kyoto area. It is a Buddhist temple that clearly shows the emphasis placed by the Kamakura Shogunate on defensiveness in the construction of their government seat. The founder of the temple, Ninsho, carried out various activities enthusiastically based at Gokurakuji Temple, including religious propagation, projects to help and salvage the weak and the poor, and construction of roads, bridges, and wells. Because of this contribution of his, Gokurakuji Temple was given the authority to manage Wakaenoshima Port, including tax collection, and played an important role in the Kamakura Shogunate. Gokurakuji Temple was built in 1259 by Hojo Shigetoki , who had an important role in the shogunate, such as assisting the fifth regent Hojo Tokiyori. 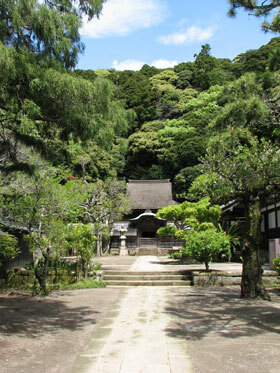 From the time of its establishment, Gokurakuji Temple exercised power under the protection by the Kamakura Shogunate. Even after the Kamakura Period, the temple received protection from the Imperial Court and the successive samurai governments. 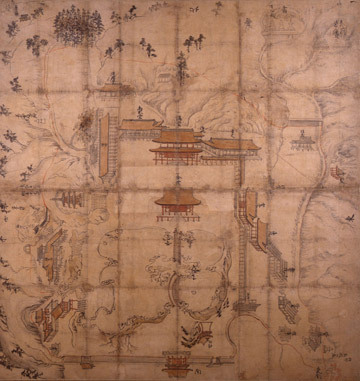 Its magnificent temples including Buppoji Temple during the prime time are depicted in a mid-17th century drawing, Gokurakuji Kyu Keidai Ezu (Pictorial Drawing of the Old Compound of Gokurakuji Temple) . In addition, large-sized five-wheel pagodas and the Pagoda of the founding priest Ninsho (Important Cultural Property) are enshrined at the skirt of the mountain area on the west side. Buppoji Temple Site located on a slope facing east situated approximately 0.4 km south-east from Gokurakuji Temple across a mountain area is an archaeological site of the subordinate temples which belonged to Gokurakuji Temple. The location of the Buppoji Temple Site from which the whole seacoast zone of Kamakura to Wakaenoshima Port and the Miura Peninsula can be seen on its east side indicates that it performed a role as a strongpoint of Gokurakuji Temple which controlled the strategic points of traffic and exercised the right for collecting taxes. The Pagoda of the founding priest Ninsho is usually closed to the public, except Apr.08 which is the only day opened to the public in a year. Kanazawa has Mutsuura Port, an outer port of Kamakura, and thus is a traffic and military stronghold through Tokyo Bay, in other words, an eastern stronghold of Kamakura. Shomyoji Temple, which was built as an important strongpoint in such a location, is a site that shows the characteristics of constructing the seat of government focused on its defensiveness in Kamakura. In addition, on the study of Buddhist teachings was actively conducted in Shomyoji Temple in particular and the temple was a university called Kanazawa School during the Middle Ages in Japan. Furthermore, in Kanazawa Library, which was established in Shomyoji Temple in 1275, large quantities of goods that were collected for the study of Buddhist teachings have been handed down. These include mainly the works of arts and crafts, books, etc. from China. They not only show the important influence of Chinese culture for the establishment of the samurai culture but also pass down the essence of the samurai culture to the present. Shomyoji Temple originates from the Buddha statue hall built by Hojo Sanetoki (1224～1333), who assumed an important position in the shogunate as an assistant of the fifth regent, Hojo Tokiyori, and the eighth regent, Hojo Tokimune. In 1267, it was expanded to take shape as a Buddhist temple and at the end of the Kamakura Period it reached its prime time, as temple buildings and the garden were restored by Kanazawa Sadaaki , the grandson of Sanetoki. 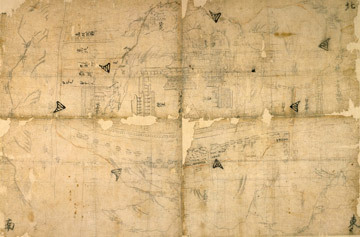 Based on Shomyoji Ezu narabini Kekkai Ki (Drawings of Shomyoji Temple and its Boundaries) which give a depiction of the temple at that time, a Pure Land pond was placed at the centre of the compound of a great temple complex with Kondo (main hall), Kodo (lecture hall), and other buildings to the east, west, and north. The existing compound has a garden centered by a Pure Land Pond in front of Sammon (Enlightenment Gate). The flatlands, where Kodo (lecture hall) and other temple complex were built during its golden days, expand on the north of these buildings and on the east-west of the Pure Land Pond. The outer side of the area is connected to the surrounding mountain area. With respect to the large quantities of goods handed down in the Kanazawa Library as described above, they are strictly kept in Kanagawa Prefectural Museum, Kanazawa Library adjacent to the compound. It has been promoted to conduct active study and research of the goods, to open them to the public, and to utilize them. 212-1 Kanazawa-cho, Kanazawa-ku, Yokohama City. * No parking facilities available.